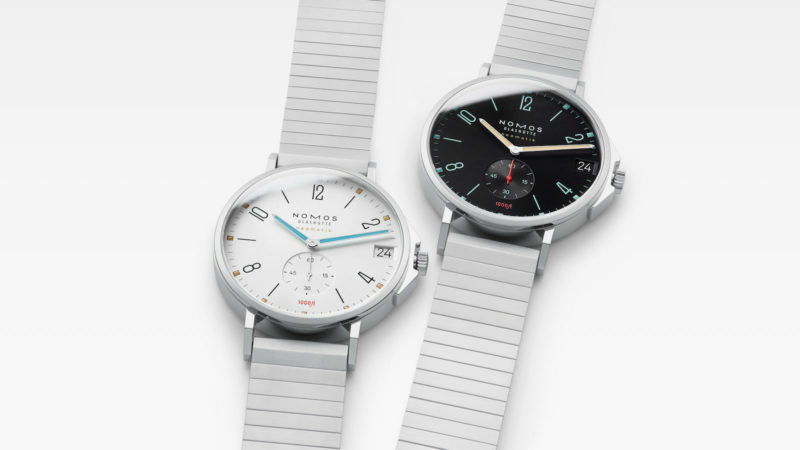 Nomos presents sport versions of Tangente and Club with 300 meters of water resistance and elegant metal bracelets. 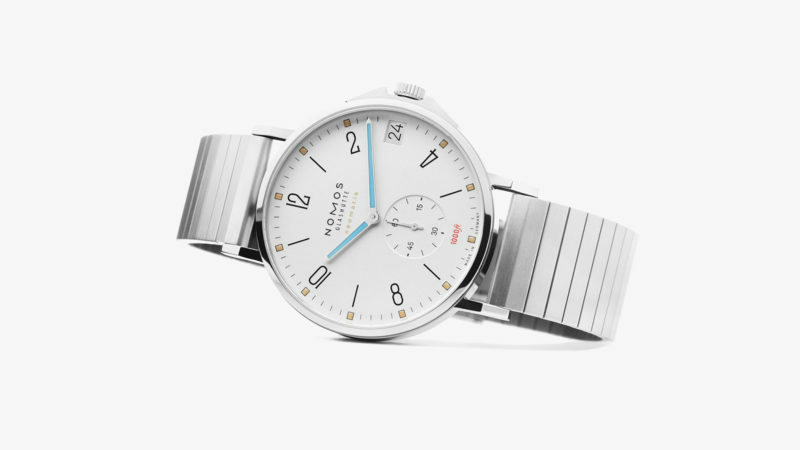 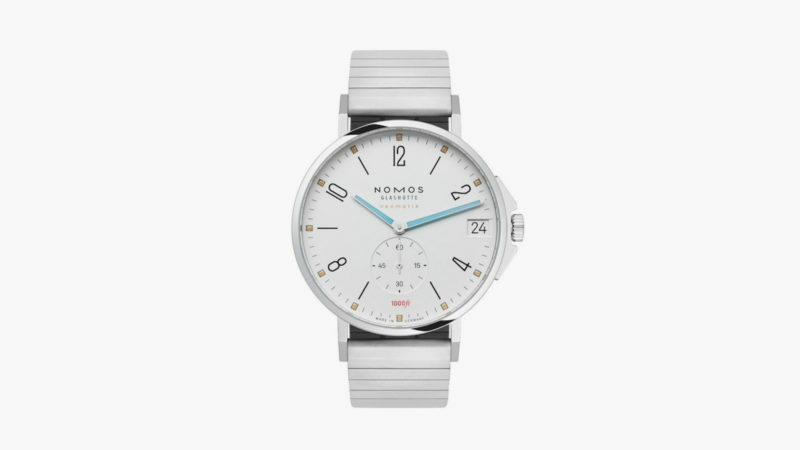 Nomos has been making unmistakable minimalist watches from the land of bauhaus since the company’s fairly recent inception in 1990. 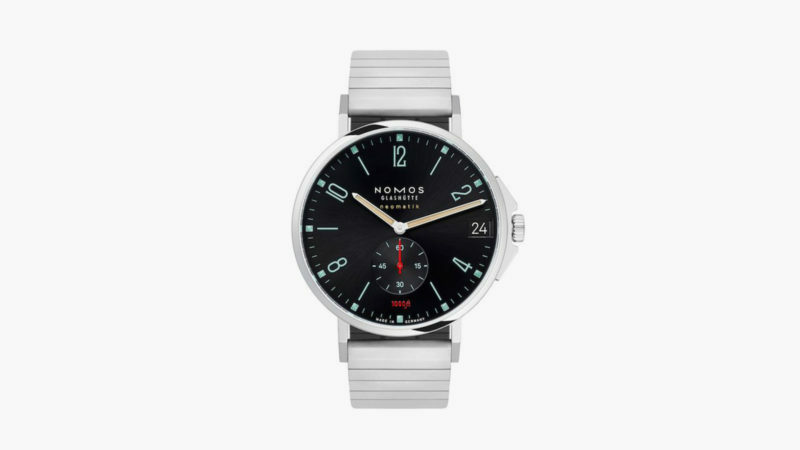 Not just confined to the realm of dress watches, Nomos has also been churning out quirky yet rugged watches fit for outdoor activities, like the Ahoi and the racing-themed Autobahn. 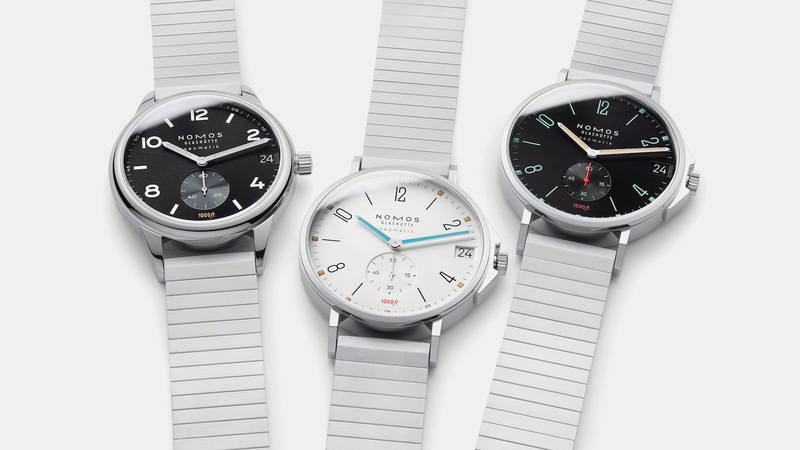 Now, Nomos presents the Sport versions of Tangente and Club. 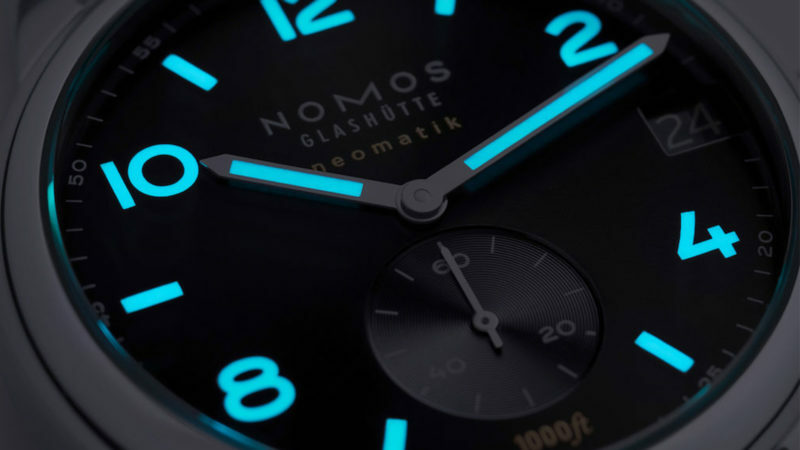 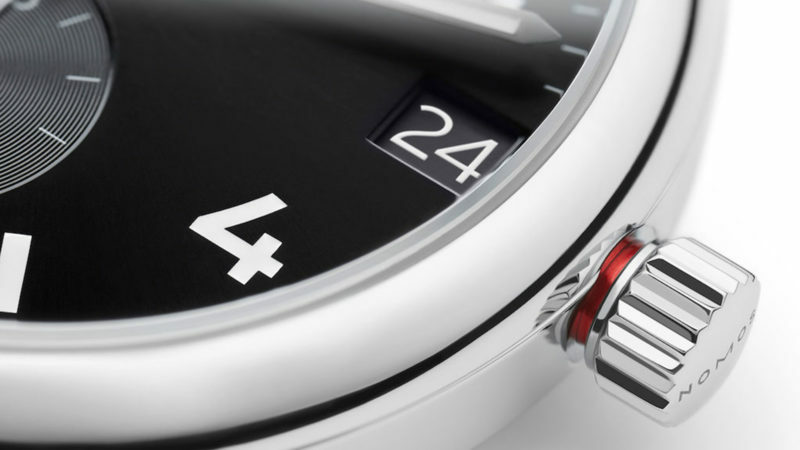 Specifically, they are the Club Sport neomatik 42 in black and Tangente Sport neomatik 42 date in both white and black. 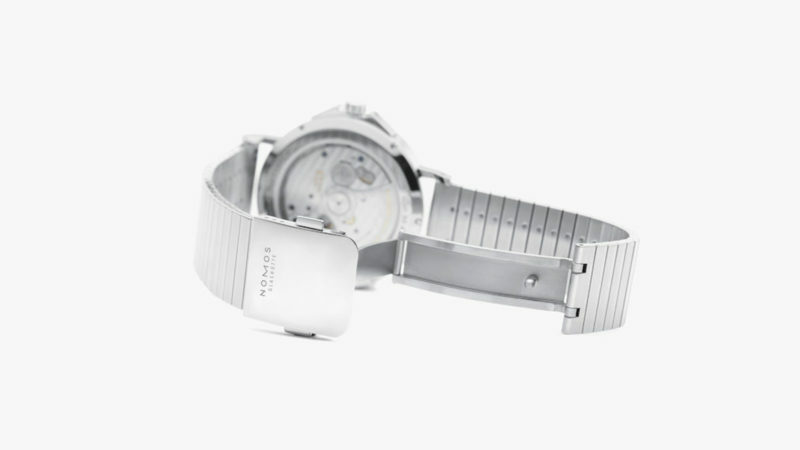 All three watches feature sealing, 1000 ft (300m) of water resistance, sapphire crystals, and possibly the most elegant metal bracelet on a watch ever. Undone adds a vintage-inspired field watch to its fully customizable watch arsenal.